A warm cheesy dip flavoured with mild sweet onions - sounds good, right? 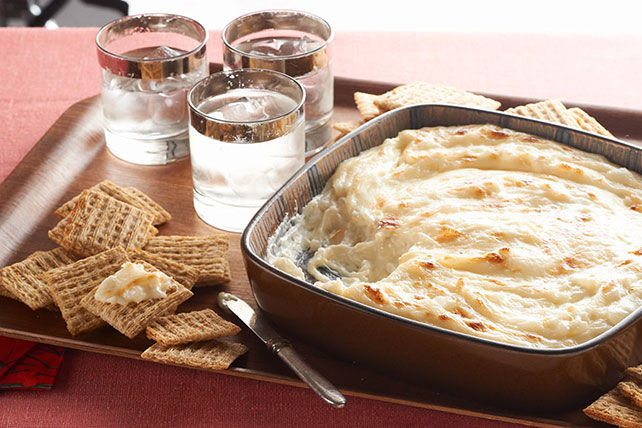 Did we mention that this warm cheese dip has only 3 ingredients and makes a great last-minute appetizer? Spread onto bottom of 8-inch square baking dish sprayed with cooking spray. Serve with your favourite crisp crackers or fresh veggie dippers.